Would you like to leave a lasting reminder in St Andrews? 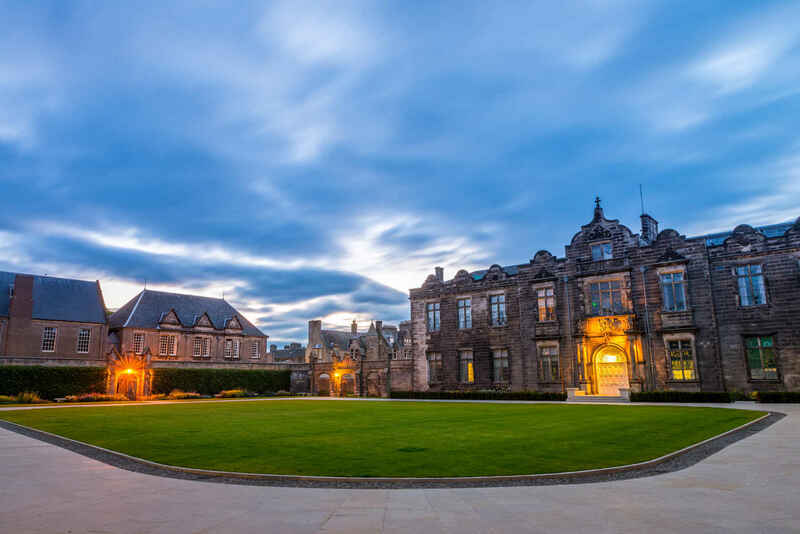 We currently have three naming opportunities available to supporters of the University of St Andrews. Flagstone naming for 2018-19 is now closed for work beginning this Spring, with a completion date of summer graduation 2019. Most of the stones have now been named however, if you do have an interest for naming, please email our Annual Giving Team who can update you should anything become available in the future, or if there are any other options available. Thank you to all those who have supported the redevelopment of St Salvator's Quadrangle and scholarships by giving through this initiative. More than half of St Andrews students participate in sport in anything from 50 clubs and 45 weekly classes, to 100 highly competitive national and international teams: the redevelopment of the Sports Centre will provide them all with the essential facilities and resources they need to develop and improve. To fund these sporting facilities we are giving you, our students, alumni and friends the opportunity to make your mark by putting a personalised message (such as your name, an inside joke or your favourite sports team) on the bleacher seats in the new sports arena. These seat plaques will showcase the diversity and generosity of the University community for many years to come. A gift of $500 will secure a personalised bleacher seat and will enable current and future students to watch their friends compete and enjoy new and improved sporting facilities for all. A multi-million pound renovation has transformed the current Students' Association into a modern headquarter for student societies and campaigns. The redeveloped building includes new theatre and music facilities, a new multimedia suite, cafe, shop, and break-out spaces for student clubs and societies. Limited naming opportunities for rooms within the building are available. Most of the seats have already been named and completed, however we do still have a small number of around 20 seats left for naming. To be a part of this fantastic project and to leave a lasting personal message in the University please make your gift below. A gift of $750 will name a theatre seat and will enable current and future students to watch their friends perform and enjoy the improved facilities. For further information on these or any other projects, please contact our Annual Giving Team. We want to support the extraordinary university that is preparing our daughter and other students to meet the challenges of a complicated world. We're glad to support such a wonderful and unique university. In honor of our daughter and her rewarding time at the University of St Andrews. A small gift to a great University upholding the truest values in the academic and social development of our future leaders. My son had a marvelous four years at St Andrews and we want to always feel a part of this special place. To honor St Andrews graduates Andrew Ferguson '13 and Elaine Ferguson '15. In honor of the education provided to our daughter at St Andrews! Donation in honor of the great education received by my son at St Andrews. I am making this donation in honor of my son who graduated from St. Andrews in 2014.